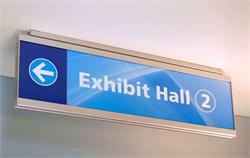 Show the way with our corridor directional signage. 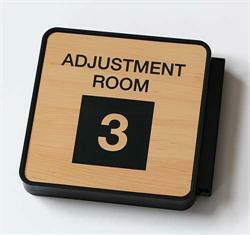 Custom 10x2 corridor easy-mount metal wall bracket with black plastic frame - choice of nameplate colors. 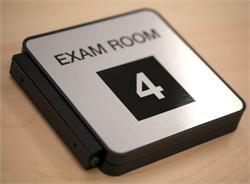 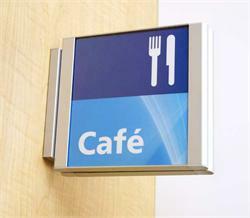 2 sided hallway signs help show the way in your facility or place of business. 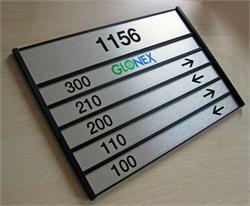 Projecting, two-sided information sign for work and office. 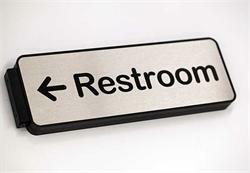 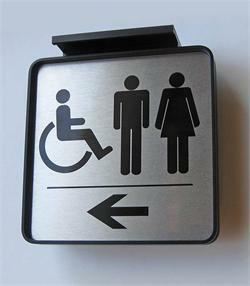 Customize both signs of your signs. 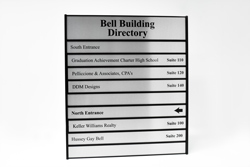 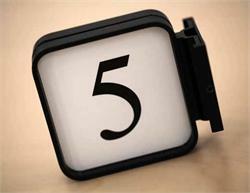 Use the PERSONALIZATION fields on this page to customize your signs at no extra charge - custom text, logos, arrows, etc. 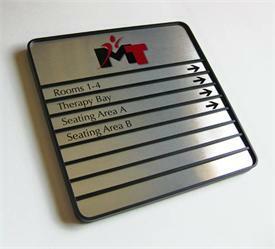 Custom sizes of our corridor and hallway signs available upon request. 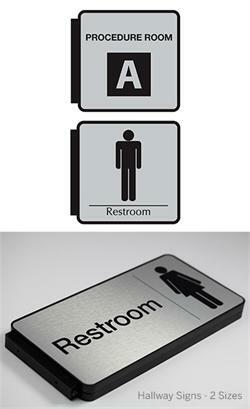 Mounting hardware included (#6 x 1" Screws & Plastic Anchors). 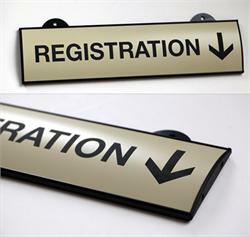 Personalize both sides of your sign. 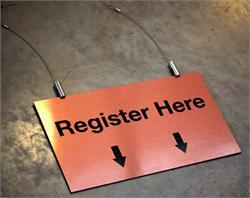 Indicate line breaks using slashes (/). 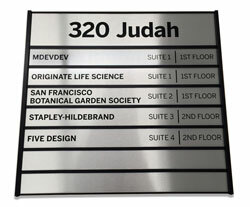 Same text will be printed on both sides unless indicated otherwise below.